Diamond – Responsive HTML5 / CSS3 Template is a clean and highly functional HTML template for personal portfolios, agency and business websites. 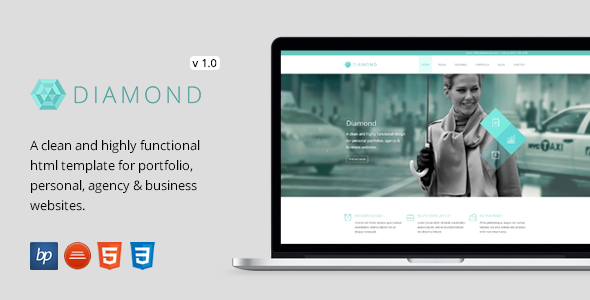 Item Reviewed: Diamond - Responsive HTML5 CSS3 Template 9 out of 10 based on 10 ratings. 9 user reviews.